Estate Sales News traveled to the Morgan Park section of Chicago on Tuesday to meet and speak with nationally Judy Martin, a certified appraiser ISA, CAPP, long time estate liquidator and owner of The Perfect Thing, a high end consignment shop in Wheaton, Il. 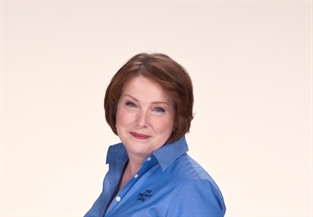 She is a Director of the ISA (International Society of Appraisers) past president 2009-2011, she was a lead instructor for them as well. Next week she will be conducting an estate sale in Morgan Park for the estate of Jack and Marjorie Simmerling. Jack Simmerling was a well known Chicago artist and he and his wife had many interesting collections. Here is part one of our interview. It isn’t very often that your editor becomes speechless, but our visit with Crown City Estate Sales at their upcoming hoarder house sale July 18th, 19th, 20th, and 21st accomplished that. Jackie and Frank Fimbres are preparing a sale for a family whose grandfather was an Indian Agent and photographer for National Geographic. The contents which date from 1909 thru the 1960’s include enormous collections of Native American artifacts, antiques, art pottery, sterling, books, and everything imaginable from A-Z. The video you will be watching was taken after 18 days of them working morning to night and they still need several days of preparation. The house is so jammed along with the garage, out building and basement that it appears as though not much has been done. This is far from the truth. After many dumpsters were used to clear out what was unsalable, the house is still overflowing with such great to outstanding items the problem is finding the space for them. Some of the collections include thousands of butterflys, African American memorabilia, listed art work, an unbelievable button collection, cologne bottles, good china and glass, a huge number of very important negatives showing Native American life, photographs, and so on. There is even a book written in the Navajo language. This will be a once in a lifetime event and we hope that this also demonstrates the great amount of time, effort and physical labor that an estate liquidator uses to prepare for a hoarder house sale or any estate sale with extreme contents and limited space. It should be noted that Jackie has expertise in Indian artifacts. Estate Sales News interviewed Cooper Hipp and Kevin Blaeser of Esquire Estate Sales who are conducting an estate sale in Wayzata MN which contains some magnificent and highly prized items including an 18Kt. gold signet ring Jackie Kennedy commissioned with Tiffany and Company for JFK’s 45th birthday with JFK love JBK inside, JFK’s signed oath of office, a Secret Service bowl for Vice President Cheney along with Secret Service cufflinks for V.P. Cheney, two lapel pins from former Speaker of the House Denny Haster, VIP credentials to the Republican National Convention and several other political memorabilia items. The Kennedy items will be offered by silent bid during the sale with minimum bids available and if they are not achieved the Kennedy items will be sent to Christie’s for auction. Along with the political items are signed sports memorabilia items, U2 signed guitar, John Mayer signed guitar, and a James Taylor signed guitar. This sale has something for everyone including a collage of vintage items from the “Rat Pack”. Kevin was in the corporate world before starting Esquire Estate Sales 12 years ago and Cooper joined him five years ago. Here is a slide show we have created showcasing some of the items at this unique and news worthy estate sale. This sale is scheduled for June 21, 22, & 23. There are thousands of estate liquidators in the United States today, however, we would like to tell you the story about one such liquidator. We have no doubt that there are hundreds or possibly more with similar stories, but today we want to tell you about Danny Triplett of Full House Liquidation in the Tampa Bay area. We reported on an extraordinary estate sale Danny conducted a year ago April with over 1000 dolls that made most of the local TV stations and attracted buyers from across the country. About 4 years ago the company Danny was working for relocated out of Tampa and left him unemployed. At the time he was in his mid 30’s and had never worked for himself. (For those of you that haven’t it is a challenge to be motivated and assertive every day to succeed with out a supervisor or boss watching or driving you on). To start making some money while unemployed he held a huge yard sale and made almost $1,000.00. The wheels of his mind started turning and when his friends heard about his success they started asking him to sell some things for them. He decided to have a few more yard sales and even found a tent top to put up and created sides with plastic to protect anything inside from the elements. With help from his Dad he acquired tables and clothing racks for display. His wife had a Realtor friend who had a lady moving to Chicago that was selling her home and taking next to none of the items in it. With his tent sales having been a success she asked him if he would sell her house contents. The sale had to be held at the home and without any prior estate sale experience he did his homework and held a very successful sale. Once again his mind started churning out ideas. The Realtor that had given him the sale was so happy he began to spread the word amongst other real estate agents about Danny. What began as a man needing to find income as a one man show has become a very successful full time estate sales business employing multiple people and even achieving recognition by local Tampa TV stations for a unique news worthy estate sale of a 1000+ doll collection sale last April (EstateSalesNews.com featured one of the TV videos along with an interview with Danny here on the Front Page). 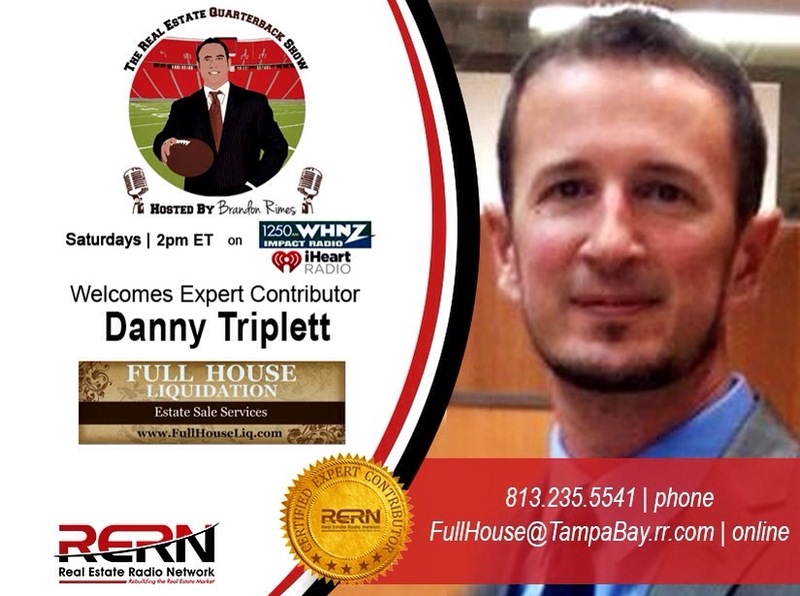 His dedication, assertiveness, knowledge, sweat, and drive to succeed has him now on the Real Estate Radio Network in Tampa, Florida as their expert estate sale contributor along with running his estate liquidation business. Estate Sales News would like to hear from estate sale companies who have an estate sale or event (not an auction) coming up between June 15- and July 31. We are looking for two estate sale companies that will be conducting unique sales with large or special collections. If you think you have a sale that meets this news worthy criteria please email us at contact@estatesalesnews.com with information and photos. We will travel to any of the lower 48 states to feature those sales and your company here on the Front Page of EstateSalesNews.com. Don’t miss your opportunity to have your sale stand out alone and be seen nationally right here. We will be making our decision by the 9th of June so time is of the essence. Many estate sale companies have clients that need to have their personal property sold before the end of May and that only leaves this three day weekend of Memorial Day. Three day holiday weekends always present challenges for estate liquidators, however, many innovative progressive thinking companies have taken the challenge on with gusto. Instead of holding the estate sale on Friday, Saturday, and if need be Sunday they are using Wednesday, Thursday, and Friday. 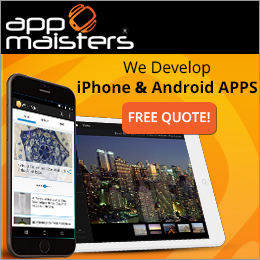 They have their social media outlets active, ads in place and their websites optimized. There are others who are still following traditional weekend days. 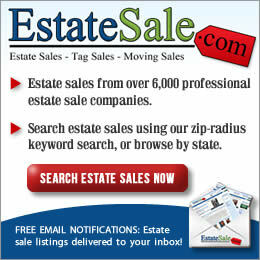 Estate Sales News is interested in finding two unique outstanding sales between June 15 and July 31. 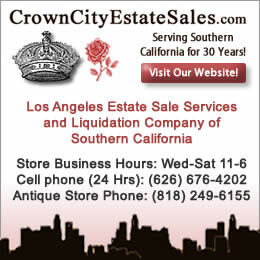 If you are an estate sale company located within the 48 lower states, please contact us. We would like to see some photos and receive some information about the sale. 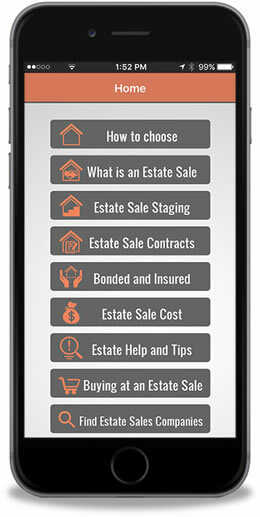 If it’s news worthy, Estate Sales News will come see you ahead of the sale to showcase you and your sale right here on the Front Page. 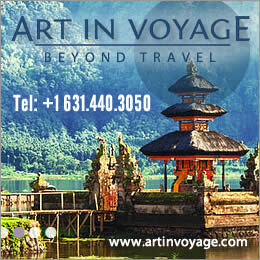 Please contact carol@estatesalesnews.com. Watch for us tomorrow and don’t forget to Like us on Facebook, Follow us on Twitter, join us on Google+ and enjoy our Pinterest Boards. Sharon L. Hardison and Associates Estate Liquidations is holding an estate sale in Port Charlotte, Fl on May 15, 16, & 17, 2014 from 9am-3pm. I interviewed Sharon about this estate sale. She told me this belonged to a collector of 40 years. A plethora of sterling, including 2 solid fine silver troy ounce bullion bars. There is a large coin collection she said along with antiques, airline collectibles, a signed Peter Max and a signed Andy Warhol, much artwork, author signed books and so much it would be hard to list it all here. Estate Sales News has put together this slide show to provide a preview of what’s going to be available at this news worthy estate sale. Here is a link to Sharon’s website for more on this extraordinary sale. Today is estate sale Friday so here is a sampling of items that will be for sale this weekend. These sales range from Connecticut to California. This is only a tiny sampling of what is out there. Remember Mother’s Day is May 11th. Buy that special woman something she’ll never forget. Shop at estate sales.